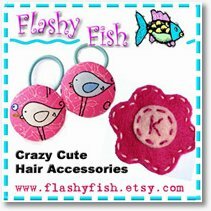 Do you advertise for your Etsy shop? Most people are going to answer no to that. Why not? Step 1 – Get on our advertising email list to be notified when ad space on our blog is released…click here. Your Etsy shop can be as much of a “business” as you want it to be. If you’re just loving the fact that you can make a few things when you feel like it and sell ’em when they sell, then that’s great. At only 20 cents for a four month listing, Etsy is perfect for the seller who’s not trying to make a “living” from their sales. But what if you’re one of those who want to be included one day in the “Quit Your Day Job”feature on the Etsy Storque? 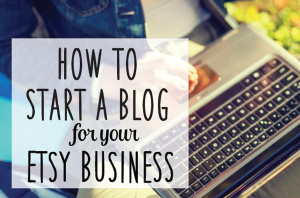 What if you do want to make a real, full-time, even lucrative living from your Etsy sales? You’re in luck, because you can do that too. 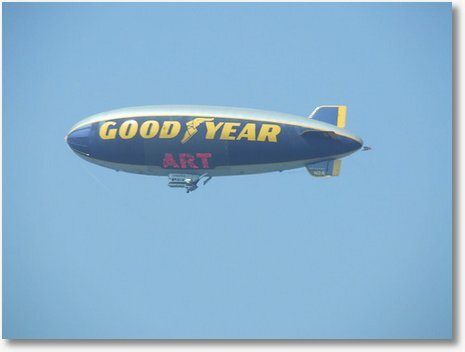 In any business, advertising is an important consideration. Some established businesses don’t do much of it because they benefit from a good reputation and lots of past customers. But for the most part, all businesses have to advertise. It’s just part of the process. An Etsy shop is no different. While Etsy sellers have the very unique advantage of likely getting some sales with no advertising, they can’t expect to get windfall sales without getting the word out. Sure, it happens, but you can’t count on it. When you advertise, you not only get direct traffic to your shop, but you also build a very valuable commodity: brand recognition or brand equity. There is a reason that many of the ads on the internet are paid by the impression vs. by the click. It’s because an impression is valuable. Every time you see the name of an advertiser they’ve made an impression on you. Even though you don’t click, they accomplished something. Just think about some of the blogs you visit regularly. I bet you can describe at least some of the ads you’ve seen on those blogs, even though you haven’t clicked on them. So doesn’t it stand to reason that if you decide that you want “vinyl wall art lettering” for example, that you’ll know where to go find it? That’s the whole idea of impressions. If you ask me, the most important thing your ad needs to tell people is “what problem you’re solving”. Often, sellers will advertise a problem they have such as “huge overstock, buy now” or “end of the season clearance”. There may be a time and place for that, but your best advertising is going to solve a problem someone has. So you’ll make your daughter happy! So you’ll make her look pretty! So you’ll have something unique and handmade! So you can buy in your pajamas and have it delivered! She’s cute, huh? I think the new ad does a much better job of telling the buyer what we can do for them! We’ll see how it works! Does it make you want to click on it? I hope so. Ha! Back up at the very beginning of this post I wrote a title. When I did, I was planning to end the post with a really great list of places to advertise online. That was a little bit bigger undertaking than I realized. When you start to look, you’ll find that the options for online advertising are just really very extensive.Google, Microsoft, Facebook, Yahoo, and so many more of the “big guy’s” offer advertising and it might be very effective. Specialty advertising networks pop-up all over the place with new ones showing up on the radar every day. It seems like there is a company offering to advertise for you in every single imaginable niche. Women, Crafters, Bloggers, SAHM, you name it, and there is an advertising network just for them! The truth is that it probably isn’t a “right or wrong” question.It’s not like if you advertise on Google you’ll fail because you should have chosen Facebook. It’s more a matter of if you should advertise and don’t that you’ll have a hard time. Another danger is moving your ad around too much. I’m more of a believer in consistency. You want people to get used to seeing you in the same place all the time. That repeated impression is what counts when you’re seeking to build a brand. Blogs are run by a person. Someone you can email with or even (gasp) talk on the phone! To me this is HUGE. At least if my ad is upside down I know who to contact. I also feel a more “small business” feel this way. Like I’m actually helping someone while they help me. My ad is always there. Most advertising options offer some sort of complex promise that your ad will actually show up from time to time, but there is no way for you to “check” to see. If I pay a blogger to host my ad, I can go look at it with my own two eyes and make sure all is well. Blogs are trusted resources.Bloggers build relationships with readers over time. They become someone the readers know and trust. This makes a big difference if they’re willing to promote my product. It’s a big deal to get a trusted referral. I don’t get that with other venues. Blogs might offer an in-depth review or other “added value”.Bloggers need content and they’re always on the lookout for something great to write about. So usually they’re more than happy to learn enough about an advertiser’s product that they can write a post about it. That’s real value. Blogs are cheap a great value.Compared to other forms of advertising, blogs really offer some pretty low pricing. A budget of $100 a month can get you some major exposure in the blogosphere. Blogs get repeat readers, sometimes daily readers. Back to the repeat impressions again. Where else can I expect that my ad will be seen by the same people, for weeks on end, maybe every single day? No other resource can offer that for the money. That is ultra-valuable. As you browse around the blogosphere, take note of the blogs you like and that you think might attract people willing to buy from your Etsy Shop. Look and see if they have an “advertise here” tab. Even if they don’t, you can bet that they would be willing to figure out something for you. Contact them and ask. It’s good for them and good for your business. Get on our advertising email list to be notified when our ad space is released…click here. For FURTHER (if you really want that!) reading here is an article by the SBA on small business advertising. 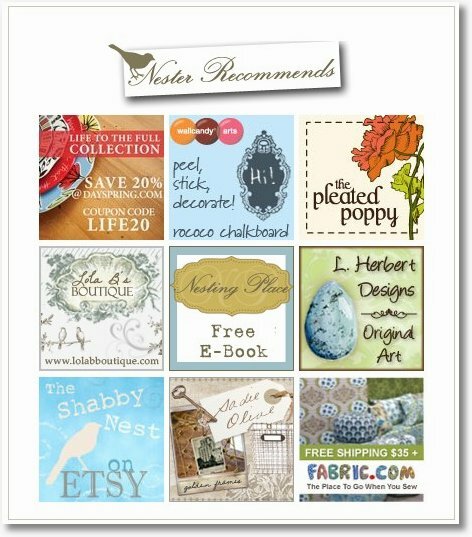 I advertise on some blogs and handmade directories. You can track how many clicks you get from you ad by using the google analysis. This is what I do to see if it is worth having a ad on a blog/page. Amen sister girl! 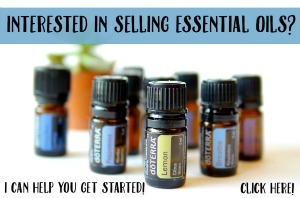 You know I’m a believer of advertising on blogs! And etsy crafters would be smart to advertise here on EE too! Wait, it sounds like we are paying each other to say this. But we’re not! That’s part of the beauty of blogs isn’t it, once we are introduced to something that we love we cannot help but talk about it! I offer a reasonable rate if anyone wants their etsy banner tatood tatoied? on my hiney. I think that Etsy needs to step up to the plate and do some advertising themselves instead of relying on sellers to do all for them. Just an opinion, not bashing Etsy or anything. Great article! I’m not doing any advertising right now but would like to…so I’m going to look into all these options! Thanks a bunch! some great tips! I advertise on blogs all over the place, as well as accept ads on my own blog. ps. what a sweet little photo on your ad! Great post! I have been told that advertising on my blog The Inspired Room brings great traffic to people’s sites and increases sales so I am ALL FOR supporting etsy shops! I have tons of readers who love to see what people offer in their shops so I agree blog advertising is a great way to connect buyers and sellers! I love the idea of everyone online supporting each other in any way we can! Thank you, thank you, thank you for this post! I’ve been doing alot of research lately on the best and most cost effective way to advertise my shop. It can be extremely overwhelming. This post breaks it down and makes it seem less daunting. Thanks for this article! I am SLOWLY building traffic. Thanks for the push. I need to do it! Thanks for all the info, I’m just getting started and it’s all very overwhelming! .-= VaKaDi´s last blog ..Original Miniature Painting Alice in Wonderland 2 =-. .-= Ruth´s last blog ..spring, hat, childs, easter, flower,girls, dress up, children ,toddler, summer, wedding =-. You could try sampler boxes!? Send samples of your work and it gets put into boxes with other samples and then people buy the boxes! You get your products to people who want to buy them and you get exposure on a website that is being advertised on and offline! Thanks so much for posting this article. I’ve just spent money on advertising for my Etsy Recyclers Guild Team on a “leading” craft site, only to find with Google Analytics that the site is not helping us. I didn’t even consider investing that money into blogs, but soon came to find out that Google Analytics member blogs send a lot of hits to my Etsy shop…so in the future I’ll know what to do. Thanks so much. Thanks for this, is really interesting when you start looking into this matters and some good advise rocks! blog ..Clay little pot =-. Great advice! Thanks. I have been trying to find a way to increase sales in my shop. I will definitely be trying this. .-= Carrie (ajoyfullife)´s last blog ..Hydrangea Because I Care Tags =-. Your right. 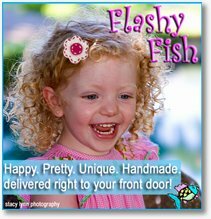 With the first ad I didn’t think about going to your Etsy shop but when I saw the next ad for your shop I wanted to go see what you have. .-= Rachel Keeth´s last blog ..Boy or Girl =-. .-= Ruth´s last blog ..flower hair clip- girls- hair- accessories- spring- daisy flower- bee button- orange- coral- fashion- womens- childrens- hair – =-. I love your Ad! I think Advertising on a blog is a great idea! Accepting ads is as well to help other people out too. Great article. Thank you for giving me some great advertising ideas. I started a blog and haven’t been getting much readers so I stopped. This is encouraging me to blog once again! Thanks! Wonderful Advice!! Thanks so much!! Next Post A Kimba Made Giveaway!